Brain Myths: How Much of Our Brain Do We Use? Are You Tricked by Common Brain Myths? It discusses evidence as to whether the brains of men and women are different, based on different types of brain scanning. For today, I don't want to get into a deep discussion of whether there are differences or not. (2) so what? Anatomical differences don't show us very well how those differences translate into the way men and women relate to each other, whiat any particular individual can or can't do well, or much of anything else important to Real Life. If there are meaningful differences (and that's another discussion), they will be found in how the brain networks of individuals are connected together and whether those kinds of networks are shared between groups of men and groups of women rather than groups of other kinds (nationality, language, profession, etc. etc.). Take-home message: Beware the research based on anatomical brain scans. Especially if what you want to know is how people actually function. Thinking that we can understand how people (and their brains) think and feel and act based on pictures of their structures is what I would consider the Brain Image Myth. What do you think? Make sense? Brain Capacity and 7+/- 2 Information Bits? One of the things I sometimes hear people talk about is the idea that brain can only manage 7+2 information bits at a time. On some occasions, people are referring to our memory capacity (we can only remember 7 + 2 bits); on others, people have stretched this to mean our brains can handle only 7 + 2 bits of information at any one time. I need to challenge this as a brain myth worth losing. 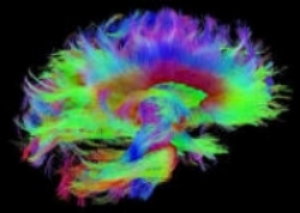 I want you to think about the brain instead as an amazing system of billions of possible connections all networked together and all doing what they do in unbelievably short time periods.